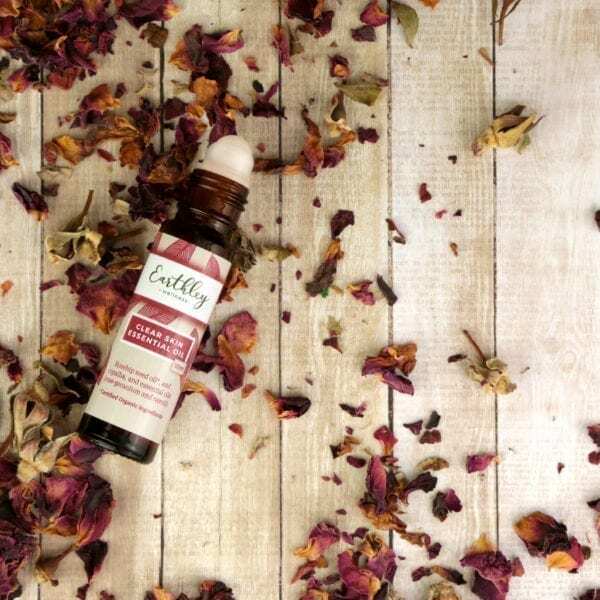 Try an acne treatment that works with Clear Skin Essential Oil Roller — an herbal acne treatment utilizing the power of completely natural ingredients. Instead of drying out your skin, our treatment provides the nourishment that your skin needs, balances oil production, unclogs skin, and even soothes painful blemishes. Finally experience clear skin, with this effective natural herbal acne treatment. 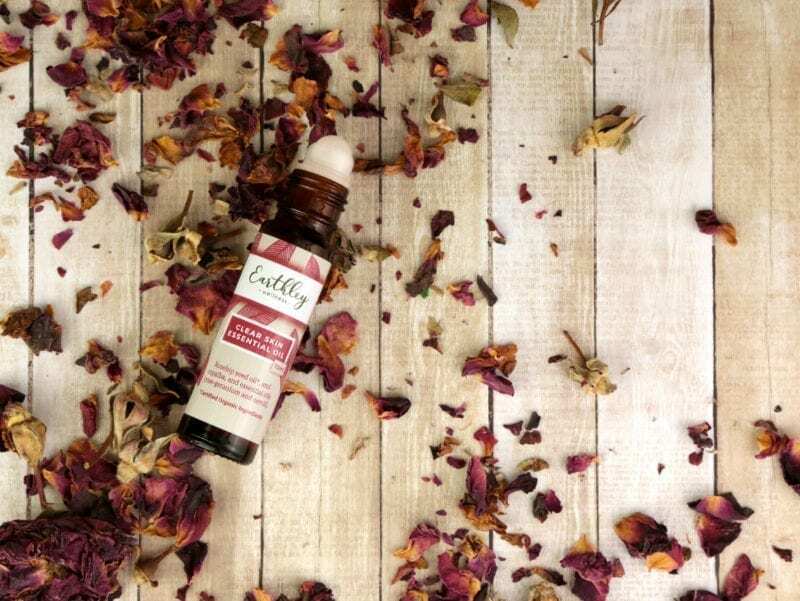 As with all of Earthley’s products, our Clear Skin Essential Oil Roller is free of fragrances, parabens, sulfates, and polysorbate 80. Instead of drying your skin out, we provide your skin the nutrients it needs to clear gunk and stay clear. Our natural acne treatment fights bacteria, relieve redness, and heal acne — naturally! Tired of acne and ready for clear skin? 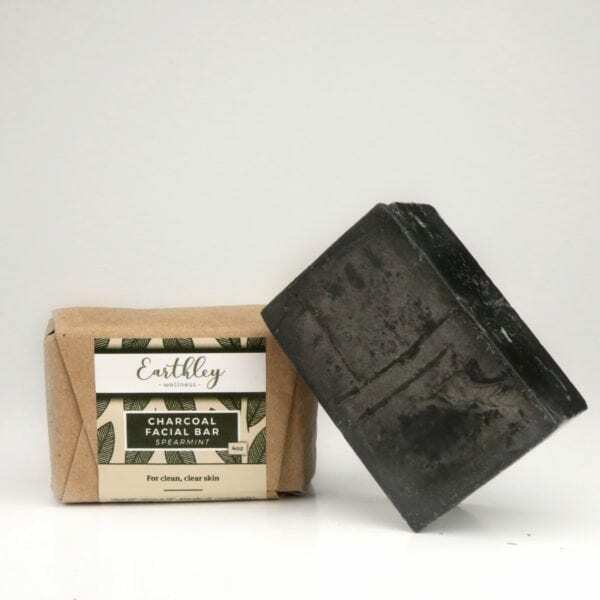 Earthley’s Clean Skin Essential Oil Roller is the best natural acne treatment out there! When you’re already dealing with problem skin, you don’t exactly want more junk. The standard acne treatments are harsh and dry out your skin, leaving you feeling dry and rough — who wants that? We’ve Taken a Bit of a Different Approach To Our Acne Treatment. It’s a simple oil roller! The base of our herbal acne treatment is rosehip seed oil, a high-end oil that’s highly-effective for acne-prone skin. It’s rich in linoleic acid, which acne-prone skin usually doesn’t have enough of and the fatty acids found in rosehip oil breaks up the sticky junk in the skin that can create blemishes and balances oil production. We’ve also included three essential oils to fight bacteria, relieve redness, and heal acne. These oils also help to soothe skin and balance healthy oil production. We also use neroli, rose-geranium, and copaiba in our herbal acne treatment: copaiba is relieves the pain of inflamed, painful acne! Our approach doesn’t force your skin to be dry and confused. It actually addresses some of the topical root causes of acne, to gently help your skin balance out — it’s kind of perfect. We’d also like to remind you that if you’re struggling with acne that it is often rooted in the gut. So while our roller ball is an acne treatment that works, addressing those blemished spots, it won’t stop acne from ever occurring again, you might need to address the root issue to see the best results. Check into gut health diets for that! Our Liver Love may be beneficial too. Not sure about the whole oil-on-your-skin thing? Learn why we formulated oil-based skin care. Roll herbal acne treatment on blemishes and acne spots 1 – 2 times per day until healed. Shelf Life: 1 year. Safe for all ages 2+. I have monthly breakouts that typically start a week before my period and don’t clear up until it ends. I purchased this roller and used it this month. Within a day the redness and puffiness had significantly decreased. After three days my face is completely clear again. I have tried other rollers and they usually burn because they contain alcohol and they have never worked at clearing my acne. I would recommend this to anyone. It is incredible and I will definitely continue using it! Love this roller bottle so far! It’s calmed down the redness in my cheeks and smells amazing! Unfortunately, I used it for a couple of weeks and it didn’t do anything for my pimples. The roller ball also hurts to rub on painful pimples. Im not good at using it consistently, but I think this is helping with the redness at times, but I still have breakouts on my cheeks and chin. I know mine is hormonal and gut issues which I cant do a whole lot about until I am done breastfeeding. I am taking Nourish Her Naturally, Master tonic, digestive support and what I can do, but know my gut is out of balance and most likely have Candida issues. So probably work better for other people.